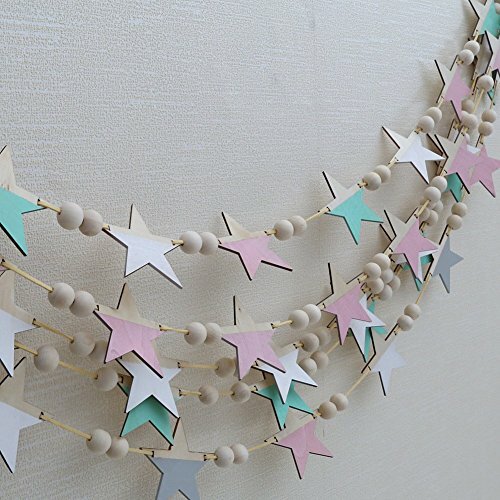 Star Wooden Bead String Pendant Wall Hanging Ornament Home Decor, Made of Natural Cotton Rope, Theaceae Beads, Non-toxic and environmentally friendly,Super Quality,Multiple Use,Can Be Used as Wall Hanging Decoration,decorate your kids/baby bedroom, living room, nursery, wedding, party, coffee shop, and anywhere you want to decorate. 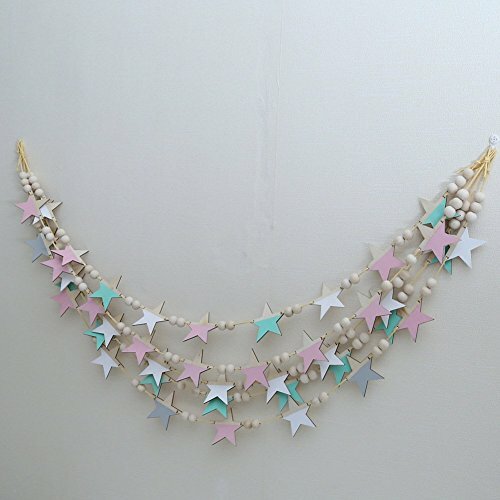 Not only can decorate your wall, but also can be used as decor accessories of backpack, handbag, curtain, keychain, car and photography props. 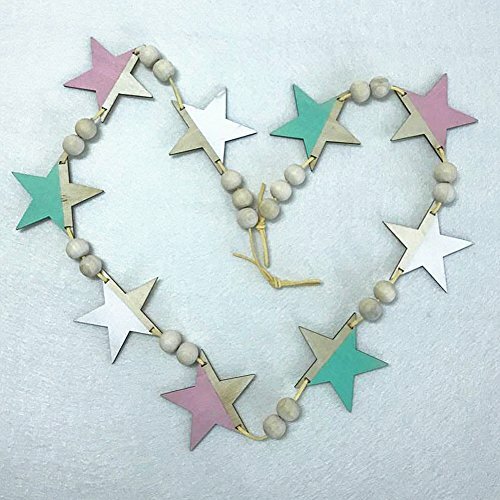 Item Name: Wooden Bead String Pendant Wall Hanging Ornament. 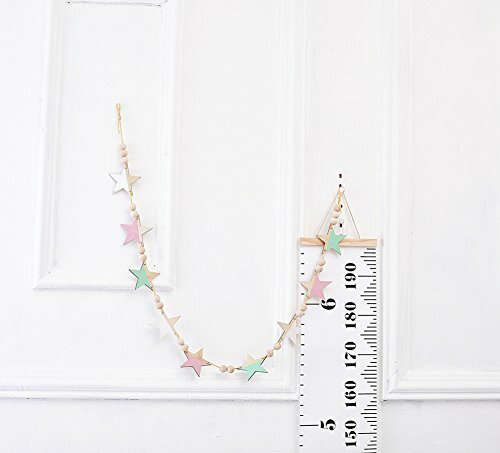 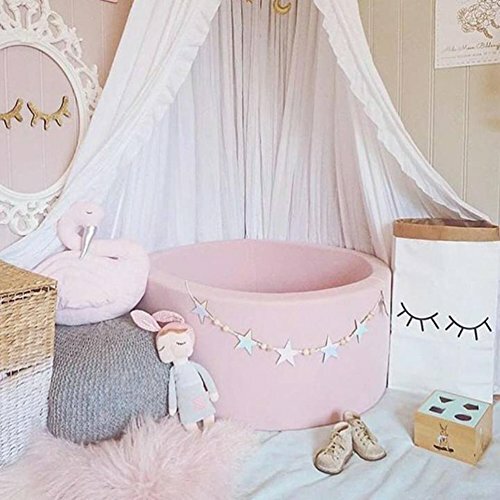 Decorate your kids/baby bedroom, living room, nursery, wedding, party, coffee shop, and anywhere you want to decorate. 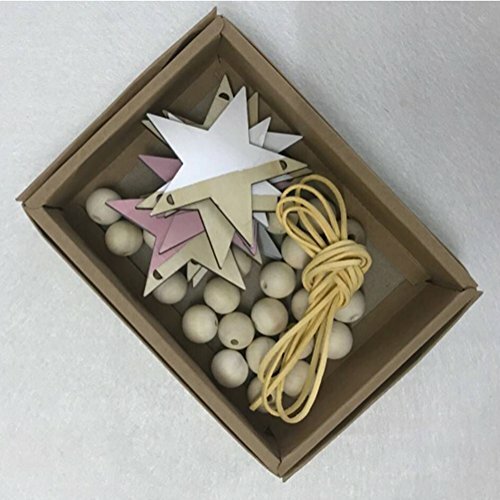 Not only can decorate your wall, but also can be used as decor accessories of backpack, handbag, curtain, keychain, car and photography props. 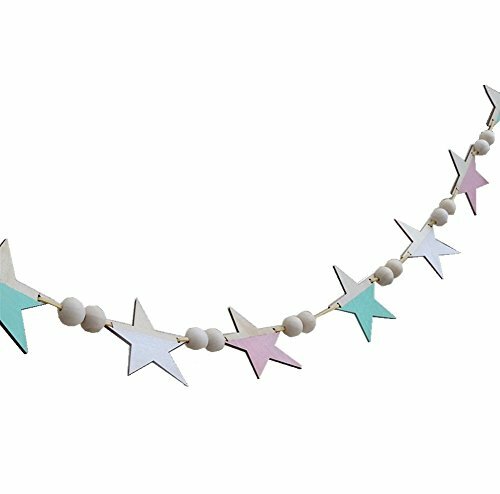 These gorgeous ball garland decorations can add a pop of brightness and joy to your home for Party or any other Celebrations. 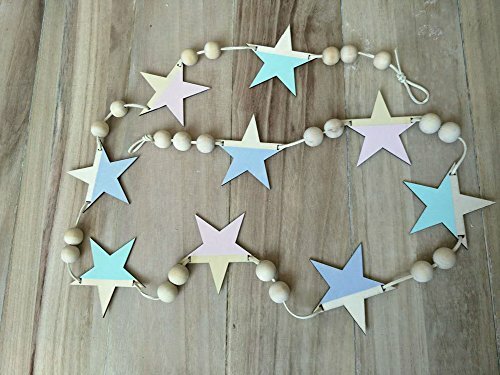 Ideal for modern Christmas tree decorations,teepee decor, bridal showers, baby showers or unique wedding decor. 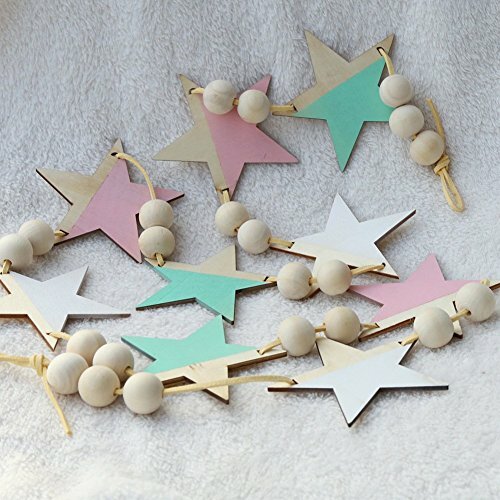 Nice Handmade Tassel Wooden Bead String Pendant Wall Hanging Ornament , Non-toxic and environmentally friendly.